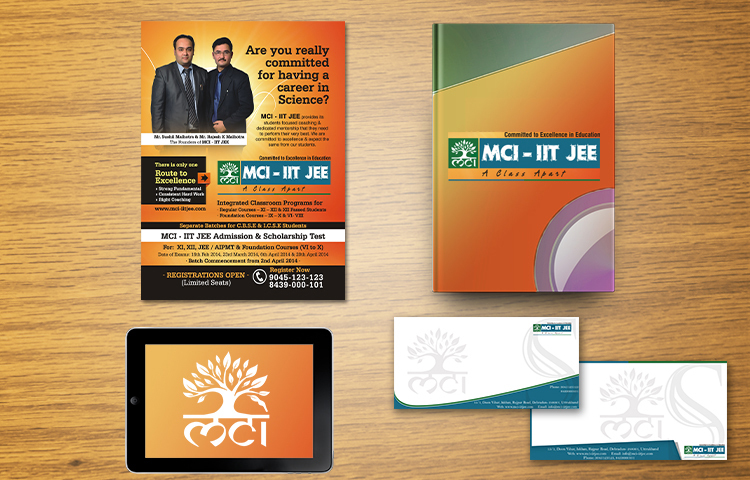 Mci-IIT-JEE was established in 1999 to provide support and guidance to students appearing in All India level Entrance Exams. 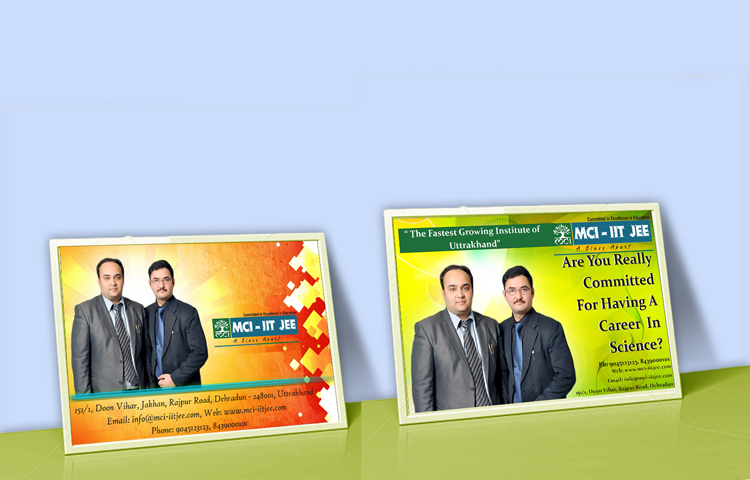 The institute has been producing consistently good results every year in DEHRADUN in terms of the success ratio. Marketing collaterals and a revamp of existing identity. A range of posters, stickers, bookmarks to be distributed among students were developed. 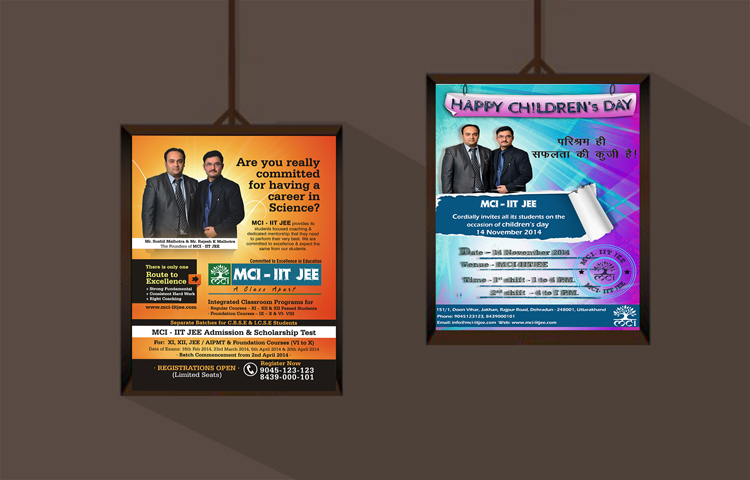 For social media promotions a range of creative poters was developed. 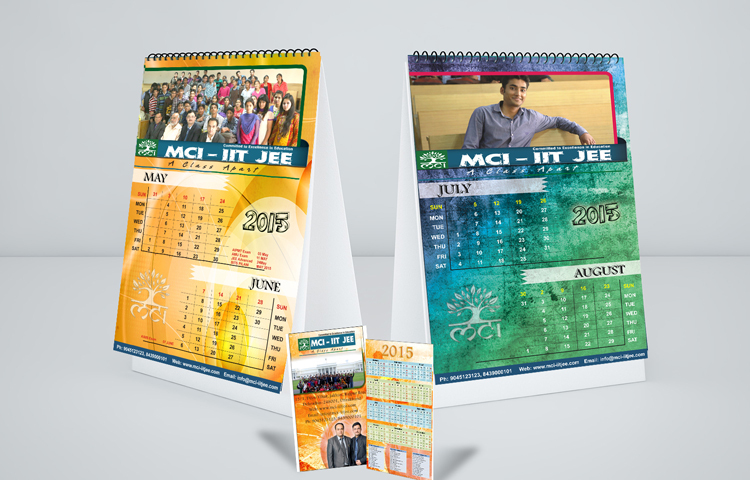 Customized calendars were developed for the year 2015 to celebrate 15 years of establishment. At Eduhive Creative studio we craft Effective, Clean, Modern, Colorful, Contemporary designs. A company’s marketing assets are everything that an organization has in its arsenal for getting the word out and keeping their brand in the market. Read more about creating budgets promotional collaterals. Connect to us for your customized design solution!